Executive Producer Jerry Colbert and Producer Michael Colbert have assembled a production team that features the top Hollywood talent behind some of television’s most prestigious entertainment award shows. The team includes Walter C. Miller, Emmy Award-winning producer whose credits include the Grammy Awards and Country Music Association Awards, and Paul Miller, award-winning director whose credits include the Country Music Association Awards and Saturday Night Live. Jerry Colbert is the executive producer and founder of two of television’s longest-running and multi-award-winning live programs that commemorate America’s most important holidays. 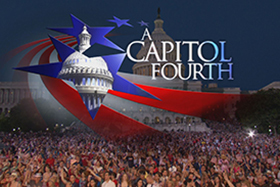 A Capitol Fourth, our country’s biggest birthday party, celebrated its 35th annual broadcast in 2015, after taking the number one spot as the highest-rated performance program on PBS for the 2012-2013 season. 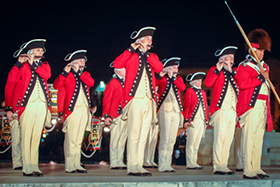 The National Memorial Day Concert, which marks its 27th anniversary in 2016, has become the nation’s premier tribute to our men and women in uniform and was the number three top-rated performance program on PBS for the 2012-2013 season. Colbert also served as executive producer of the National Salute to Veterans, which aired on PBS November 11, 2012. In addition to his annual work on these events, Colbert has produced many films, such as Mr. Justice Brennan; Sister Adrian, the Mother Teresa of Scranton; The Regulators: Our Invisible Government and H.R. 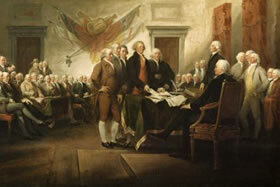 6161: An Act of Congress. Colbert previously served as deputy director of the Center for Understanding Media in New York. 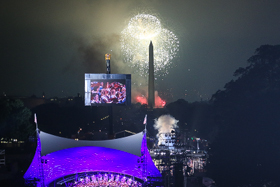 A principal in Capital Concerts for over 15 years, Executive Vice-President Michael Colbert directs the organization year round in addition to serving as producer for the National Memorial Day Concert and A Capitol Fourth. He also served as executive producer of the National Salute to Veterans, which aired on PBS November 11, 2012. Colbert is the primary liaison with the more than 20 government and nongovernmental Washington agencies and organizations that contribute to the shows, and directs the hundreds of television professionals who participate annually. With more than 20 years of experience, Colbert has credits that include major national television specials on CBS, Fox, PBS and Comedy Central in locations ranging from Washington, D.C., New York and Los Angeles to Nashville. He has also produced a wide range of major corporate events. Producer Walter C. Miller is recognized as America’s leading live director and producer, with credits including television’s top awards shows, such as the Grammy Awards, Country Music Awards, The People’s Choice Awards, Tony Awards, American Comedy Awards, The Emmy Awards, Daytime Emmy Awards and Golden Globe Awards. In 1999, he won an Emmy for producing the Tony Awards. For Liberty Weekend: Americana Music Concert, Miller received the Directors Guild of America Award for Outstanding Director. He has won additional Emmys for S’Wonderful, S’Marvelous, S’Gershwin, a special with Jack Lemmon and Fred Astaire, and Annie, The Women in a Life of a Man. His live musical concert credits include Concert of the Americas with Frank Sinatra, in addition to A Capitol Fourth and the National Memorial Day Concert. Paul Miller is a veteran television director whose credits include The Country Music Awards, The Tony Awards, Saturday Night Live, Star-Spangled Spectacular: Bicentennial of Our National Anthem, New Year’s Rockin’ Eve, live from Nashville, In Living Color and many specials and series for all the major broadcast and cable television networks. Paul has received six Emmy nominations, and won for directing the Tony Awards and the ABC News coverage of the inauguration of President Barack Obama. He has also been nominated twice for the Directors Guild of America Award in the Musical/Variety category and won for directing the Tony Awards. 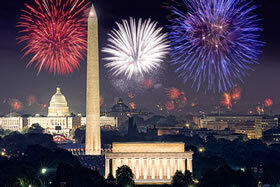 Paul has directed the annual PBS broadcasts of A Capitol Fourth and the National Memorial Day Concert for the past 20 years. He is a partner in RickMill Productions, a Hollywood-based entertainment company that has produced numerous series for Comedy Central as well as specials for HBO and Showtime. Jon Macks has written for Hollywood’s top television programs, including the most prestigious awards shows, late night programs and television specials. From 1992 through February 2014 he was a staff writer for The Tonight Show with Jay Leno. Macks has written for the Academy Awards 18 times, writing the show and for hosts Billy Crystal, Steve Martin, Hugh Jackman, Whoopi Goldberg and Chris Rock. He was also head writer for the 76th, 80th, 81st and 82nd annual Academy Awards. Macks has written for 18 Emmy Awards, 7 American Latino Media Awards, 10 Academy of Country Music Awards and 7 Golden Globe Awards. He’s been nominated for seven Emmy Awards for writing the Academy Awards and the Golden Globe Awards and for writing and producing Betty White’s 90th Birthday: A Tribute to America’s Golden Girl. In 2006, he received a Writers Guild Award nomination for his work on the 59th annual Tony Awards, and in 2014 he won the Writers Guild award for his work on the Golden Globe Awards. He was also creator and consulting producer for the HBO series K Street and is executive producer and writer of the Universal movie Little Leaguers. His television credits include ABC’s 50th Anniversary Celebration, Hollywood Squares, CBS’s 75th anniversary special and The Honeymooners 50th Anniversary Celebration. This is Macks’s 12th time writing for A Capitol Fourth. 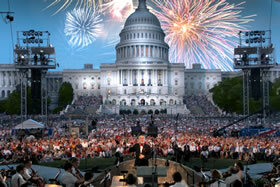 Barr Weissman has produced and edited the video segments for A Capitol Fourth since 1998. Mr. Weissman edited and helped produce several independent documentaries, including the Academy Award-winning film The Stonecarvers and Mr. Justice Brennan. He has directed and edited biographical films for the Kennedy Center Honors for CBS (including films on The Who, Mel Brooks, Bruce Springsteen and Tom Hanks). In addition, he has produced and edited documentaries for the Discovery Channel, National Geographic, NBC, PBS, and others. His work has been recognized by the Emmys, received awards at film festivals worldwide, and been screened at the Museum of Modern Art in New York. Weissman’s most recent film, The Secret to a Happy Ending, has screened at film festivals and theaters worldwide and received four stars from Rolling Stone. A native Washingtonian, Mr. Weissman produced and independently distributed two critically acclaimed documentaries about the city: Home: The Langston Terrace Dwellings and A View from the Street: The Art of Lily Spandorf.